When people ask me about my musical tastes, and I tell them the Whole Truth And Nothing But The Truth, I usually also claim to have a really open mind when it comes to music. With Emperor's swansong CD, "Prometheus - The Discipline of Fire & Demise", I seem to have arrived at a junction in my musical taste. One way says "Pretty Open (Easy)" and the other says "W.F.O. (Difficult)". Just beyond my reach, for which I have to enter the latter path, lies Emperor's new CD ("W.F.O. ", obviously, means "Wide F*@king Open"). I think it's pretty safe to assume that people will either Zealously Love of Fervently Abhor this album, and that not until after a year of repeated listenings. I am afraid I am far too indolent to give the album that long. For one thing this review would be proverbially late, and there are so many other CDs that I enjoy listening to. It may be pretty obvious, so far I am closer to the Fervent Abhorrence than the Zealous Love. 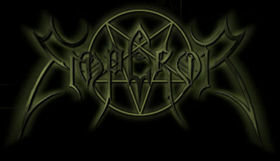 The final Emperor album is no doubt clever, well-played and no doubt breaking open innovative avenues in the genre. But to me it's just generally too tireing to listen to, too difficult to digest. Maybe, in a few years, I will have listened to the album sufficiently often to form a more crystallised opinion, but for now I am afraid I can't, really. If you want to check out the album and listen to the, um, rather more accessible tracks, try "Depraved", "In the Wordless Chamber" and "Thorns on my Grave". If you want to try one of the more challenging tracks, give "The Tongue of Fire" a listen. For now, I am afraid I really can't make much more of it than this... Maybe this review will be revised or added to somewhere in the future.